FriendGrief is a place for you to share your experience grieving the death of a friend. Many people not only suffer a great loss, but also suffer because those around them don't understand or respect their grief. The Twitterverse doesn’t miss much: political gaffes, celebrity gossip, shameless self-promotion. There are writers who swear by the discipline needed to express themselves within the 140-character limit. You want breaking news – not tape-delayed, like our Olympics coverage? Log onto Twitter. That said, is it the best place to grieve? I’m not talking about the incredible hospice programs, writers, therapists and other professionals who tweet information about programs to help people work through their grief. And I’m not talking about those who tweet death notices of famous people. I’m talking about people who run to Twitter to express their grief. 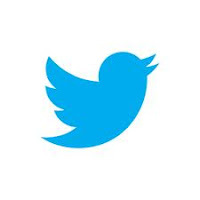 Twitter is a community, though a virtual one, like this blog. And let’s face it: it’s often easier to express our feelings online than face to face. Some people aren’t ready to deal with the world, and that’s compounded by living in a society that values the ability to “move on” quickly. But does grieving on Twitter help anyone? 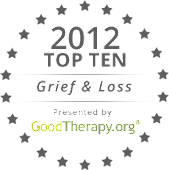 The value of grieving online is something that is attracting the interest of those who work in the bereavement field. Most believe that the internet has been very effective in creating and building communities that focus on a particular kind of grief, like this blog. It allows people to work through their grief among those who truly understand their experience. What I consider an invaluable use of the internet – and Twitter is a big part of this – is the ability to spread the word quickly. Instead of being faced with making dozens of phone calls to family and friends, now we can send a blast email, or post on Facebook, or tweet the news. Actually, that’s 139 characters, but you get the idea. It doesn’t take a lot to show your support. We’ll continue this on Thursday. Reprise: "The Melody of Friendship"
"You have been - and always shall be - my friend"
Would You Tell Your Friends That You’re Dying? Should You Send Flowers to a Dying Friend? Copyright Victoria Noe 2011-2015. Watermark theme. Powered by Blogger.